The hard-won right to vote is a centerpiece of the modern political landscape, but tells only half the story of representation. The right to cast a ballot is sacred, but the right to appear on a ballot is equally sacrosanct. Voting alone cannot ensure representation if it only guarantees the right to choose between too few options pre-selected by the powerful, and not to add a candidate who best represents a voter’s views. Georgia has some of the nation’s worst laws surrounding ballot access, with predictably dire results. Republicans and Democrats are granted near-automatic access to appear on ballots, while independent and minor-party candidates must collect signatures, petition, and pay dearly to earn that access. In 2016, all 180 members of the Georgia House were up for re-election, and 82% of those members did not have a challenger in the general election. A single candidate race is not choice, it’s tyranny. No third-party candidate in Georgia has ever collected enough signatures to appear on the ballot for the U.S. House since Georgia passed an election “qualifying law” in 1943, according to the AJC. Georgia also leads the nation in unopposed races, an unwelcome distinction for a state still recovering from a history of election abuses. Political favoritism and exclusion enshrined in law is an embarrassment, hindering Georgia’s progress and political discourse. 33% of Georgians identify as a Republican and 22% identify as Democrat. The remaining 44%, identify as Independents or belong to a “minor” party. A plurality of voters, in other words, back candidates who are blocked from appearing on Georgia ballots. Below is the a draft of the sample ballot access bill. If passed, ballot access provisions will level the playing field by allowing independents, Greens, Libertarians, and other issue-oriented political bodies the same advantages enjoyed by Republicans and Democrats. You are encouraged to contact your legislative representative and encourage them to support these Senate bills and the proposed changes. To find out who your representatives are visit this website. 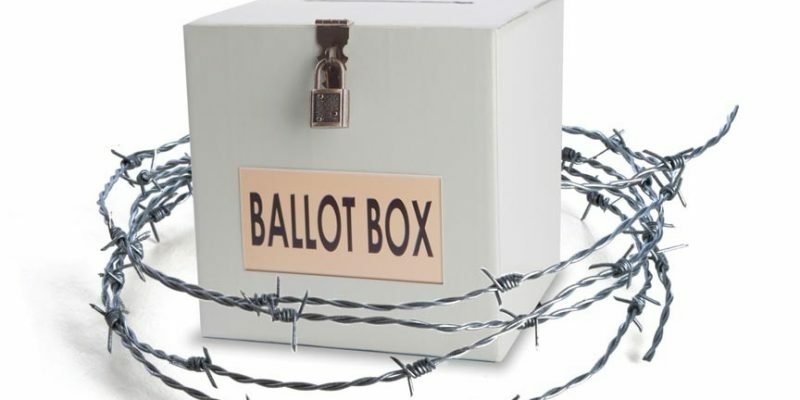 Draft language of a 2019 bill to reform ballot access laws in Georgia.